THE AFFAIR is shaking things up in its second season. With the first year telling the story of Noah and Alison’s affair from their perspectives, the sophomore season will showcase the fallout of the Noah/Helen and Alison/Cole marriage by showing all four of their stories. And with that change comes a slight format shift. 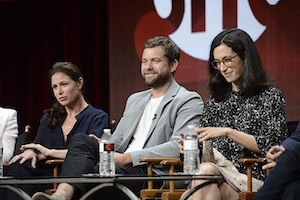 The first season of THE AFFAIR showed both POVs regularly, but with four perspectives to juggle, the show will shift who it showcases week-by-week. The change in formatting has also allowed for its actors to dive deeper into their roles.